Wear the closest thing to natural lashes with exclusive Ardell Individual Knot Free Short Black Eye Lashes. They are permanent curled, waterproof, weightless and easy to apply. Additional Information :Ardell is the world-leading brand in faux eyelashes. Offering a wide range of variations to choose from. 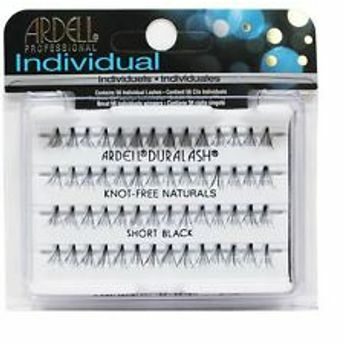 Ardell Individual Knot Free Short Black Eye Lashes your eye makeup is done quickly and gives beautiful results.